Foods labelled as diet or low in fat might be the obvious choice for people looking to lose weight. However, these choices can negatively affect weight loss goals, increasing not only food cravings but also the risk of diabetes and heart disease. In this article we will discover the four categories of food to avoid when dieting, highlighting the reasons as well as better alternatives. 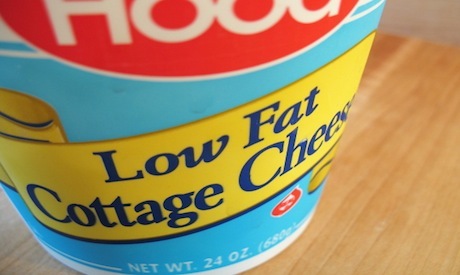 In order to create a low-fat product, food manufacturers must remove some of the original fat. When this fat is taken out, the associated flavor and texture also gets removed. To make up for this lose, food manufacturers add more sugar, salt and artificial flavoring. 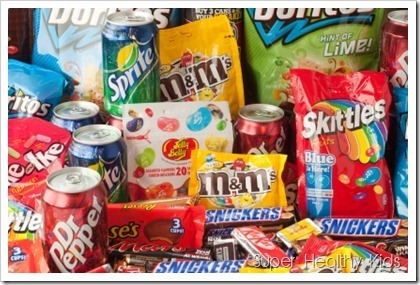 In particular, sugar is known to increase food cravings, the risk of Type 2 diabetes and heart disease. Our daily recommended intake of sugar is only 12 teaspoons (or 90 grams) . This added sugar can significantly increase our daily intake, with some low fat alternatives containing as much as five times the sugar found in the original product . Furthermore, good unsaturated fats are also removed in this process and while that low-fat muffin, salad dressing or potato chip might be lower in calories,its high sugar content can lead to overeating and weight gain. Interestingly enough, a behavioral study also demonstrated that we are more inclined to serve up to 25% more food from products that are labelled ‘low-fat’,compared to products without this label. Getting a balance of nutrients is important to prevent food bingeing and other associated health risks. With that in mind, try baking your own muffins with delicious and healthy ingredients. Start by being more informed, and next time, read the ingredients contained in products. Avoid trans / saturated fat and instead, consume products that contain good unsaturated fat,such as an olive oil base salad dressing with nuts and avocado. Alternatively, try switching out the potato chips with roasted chickpeas or kale chips. Frozen meals are an easy alternative to the traditional home cooked meal. They are a convenient way to track and limit the consumption of calories. 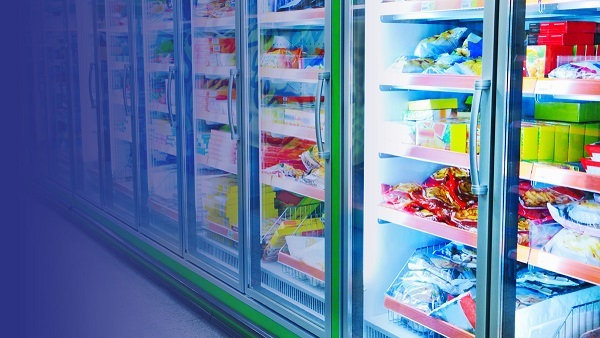 Many frozen meals contain high amounts of salt which is used to enhance flavor and extend shelf life. Salt is made up of 40% sodium and 60% chloride. It is recommended that our bodies consume around 2,300 milligrams of sodium each day. The average diet frozen meal usually contains 300 calories and 700 – 1800 mg of sodium. Simply,if you try to sustain a weight loss diet on frozen meals you will consume too much sodium which can negatively impact your general health and weight loss goals. A high sodium diet is linked to water retention, bloating, puffiness, high blood pressure and an increased strain on the heart. Furthermore, the way salt enhances flavor and increases thirst promotes binge eating and drinking. In one study, by halving the sodium intake of children, the results revealed a reduction in sugary drink consumption and overeating. Try consuming frozen meals less frequently and start setting aside more time in the day to cook a healthy meal. A good nutritional balanced meal contains: protein (red meat, chicken and beans), good fats (unsaturated fats: olive / canola / peanut oil and omega-3 fats) and complex carbohydrates (peas, vegetables and rice). Sugar has its place in a healthy diet, but too much of it can spell disaster for anyone attempting to lose weight. While it does contain calories, the body doesn’t recognize those calories as filling. Often eating sugary lollies or drinking soda will entice the brain’s reward center and it will develop a bigger craving for food in the near future. Studies have linked the consumption of white bread (contains lots of sugar) to a 40% greater risk in gaining weight and becoming obese. Even more concerning is the way sugar can create insulin resistance developing Type-2 Diabetes, sugar addiction, lepton resistance (increased hunger) and ultimately fat gain. While it is good to treat yourself once in a while, staying away from high sugar foods can help with your weight loss resolve and hunger. Try consuming Ezekiel bread instead of white bread and instead of lollies, try snacking on whole fruits,vegetables and nuts. Juice contains many healthy vitamins, antioxidants and minerals that are useful to the body. 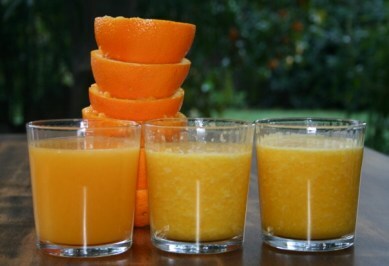 While they are rich in nutrients, it often takes many pieces of squeezed fruit to fill one glass of juice. This process leaves behind most of the natural stomach filling fiber and keeps most of the empty calories and sugar. As a result, consuming juice on its own has been shown to reduce satiety (state of fullness) when compared to other food groups . In particular fructose, the natural sugar in fruit has been linked to weight gain, high blood sugar and Type-2 diabetes. Furthermore, it stops the brain from signalling how much it has already eaten and as a result, prolongs hunger which generally results in more calories being consumed. Instead of having a 100% freshly squeezed juice, try having less of a serve or diluting it with water,preferably try eating whole fruits. Alternatively, consume a protein rich smoothie or shake. Protein in general, will help you stay fuller for longer and out of the 3 macro-nutrients (protein, fat, carbohydrates), it has been proven to be the best at increasing satiety. So now you must have got the ideas of which food to avoid when dieting. This will help in keeping your body stable and consistent. Guest Post by Thomas J.
FAD DIET/ CRASH DIET AND IT’S CONSEQUENCES AND REASON WHY TO AVOID FAD DIETING? Vitamin D foods, deficiency, symptoms and side effects Top Five Winter Foods. Grab them now.